This time next week it will all be over, but right now it seems like there is still so much to do! If you you saw my 'Home Sweet Home' post you will know that earlier this year I became a homeowner. We have been so busy over the last few months doing it up making this my most hectic December yet! We are almost ready to move in, it's finally starting to feel like a cosy home. It's been a nice time to move in, all the Christmas trimmings make up for the lack of furniture and fairy lights make everything that bit more magical. 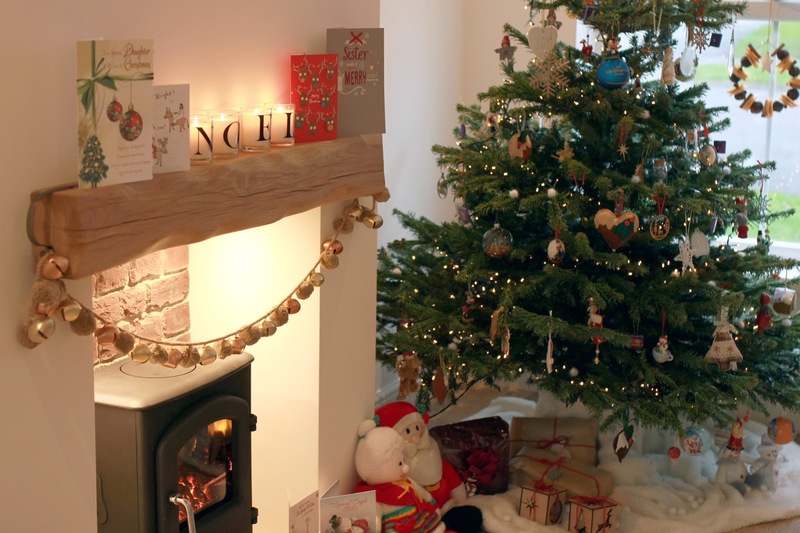 The beautiful oak beam and our glowing stove are making my living room look like the scene from a Christmas card! (I'll do a before and after living room post in the new year). Every year I'm always eager to start my festivities early, I think it stems from all those years working in retail when I'd be listening to Christmas songs on repeat from October, now I work from home I almost miss it! I had my Christmas tree up before our carpets or bed had even arrived - I've got my priorities right. This year we bought a real tree which was very exciting as I've never had a real tree before. It's a very nostalgic Christmas tree as most of my decorations have been bought for me from family members on their travels over the years. For our very first attempt at trimming a tree I have to say I'm pretty impressed how full it looks. We had a new addition this year to celebrate the first Christmas in our new home. 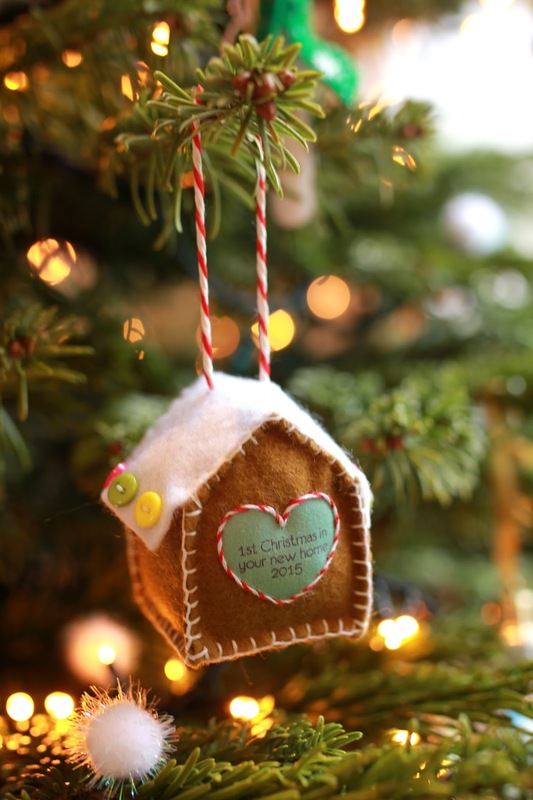 This very sweet little gingerbread house from 'Miss Shelly Designs' with the year 2015 is a perfect keepsake for our first Christmas. 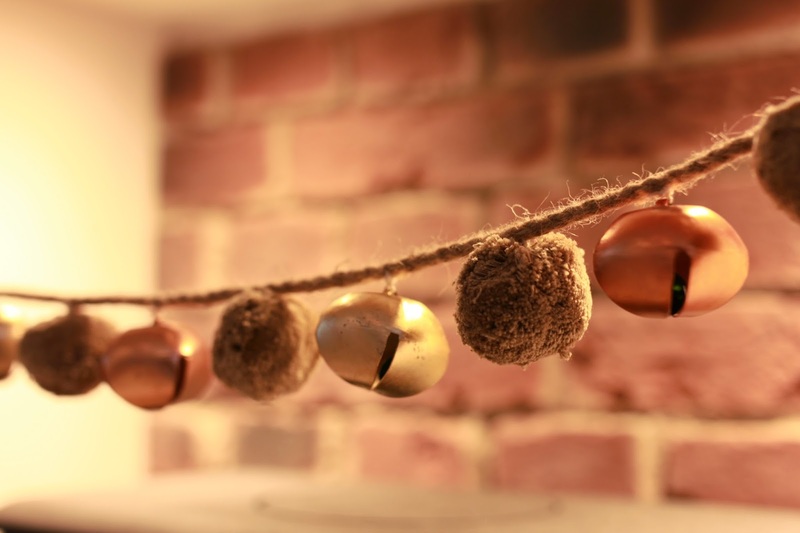 We have collected a few baubles ourselves over the years and until this year they have remained inside their boxes, we can now hang them proudly on our very first Christmas tree. 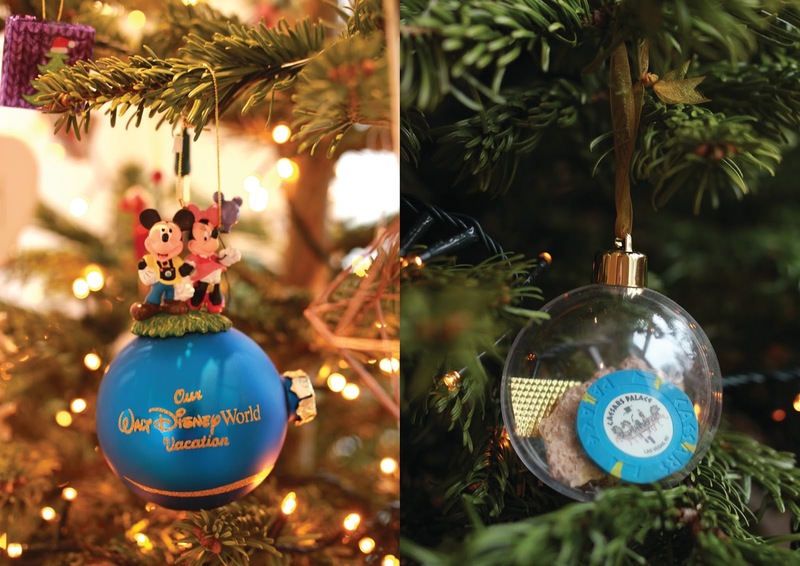 Our first bauble was from our trip to Disney Land in 2012 (below right). My Vegas bauble (below left) was a little DIY gift I made last year. It was really simple to do, I used photo bauble but instead of cutting out a a photograph to place inside I arranged a few keepsakes from our trip - a poker chip from Caesars Palace, a rock from the Grand Canyon and a piece of confetti from the Shania Twain concert. 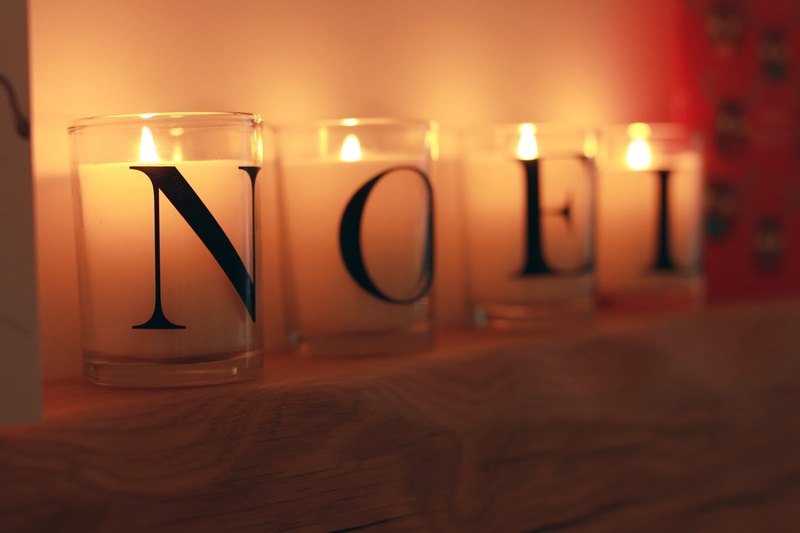 It's a really nice idea, it doesn't cost a lot but it makes a very personal and thoughtful gift. I hope to make lots more happy memories to add to our tree. 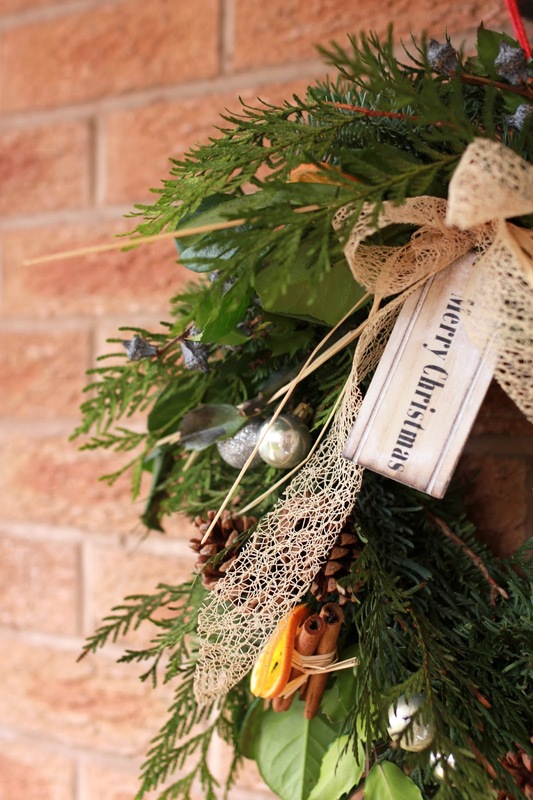 My first Christmas wreath had to be from 'Of The Wild'. I did a shoot here for my spring look book earlier this year which you can find on my gallery page. Kath makes the most beautiful arrangements whatever the occasion. I'm looking forward to sharing more of my home with you in the new year!